Concluding the “Ten Days of Repentance” – also known as the “Days of Awe,” Yom Kippur is a day where few Jews venture further than home and a house of worship. Expect that most Jews you know will forgo their usual weekend routines. Instead of holding tickets to movies or concerts Friday night, they will have tickets for seats at a Kol Nidrei Service. Jewish tradition outlines three paths to help along this process of fixing our lives leading up to and during Yom Kippur. Tzedakah (Charity). The ethical imperative to contribute our resources to support the needy, our communal organizations, and to make the world a better place. Teshuvah (Repentance). Acknowledging our shortcomings, showing regret for what we did, and resolving to not make the same mistakes again, reconciles our relationship with God. Tefillah (Prayer). Opening our hearts, putting thoughts into words, we pray in the plural, asking for the good of all, not for our own personal needs. It’s rare that Mae Singerman, a self-described secular Jew who grew up in a Reform family, observes Yom Kippur by praying, fasting or attending synagogue. Organized mostly via Facebook over the last week, the Kol Nidre service starts at 7 p.m. across from the downtown park where demonstrations have occurred since mid-September. Almost 500 people have RSVP’d on Facebook, although at least a few dozen of them are out-of-towners who are just showing their support. The service (led by rabbis and students from several Jewish traditions) has been endorsed by Jewish organizations such as Jews for Racial and Economic Justice and the Shalom Center. The Rabbinical Assembly for Conservative Judaism has donated 100 prayer books for the service, and organizers say that the Battery Park Synagogue and Chabad of Wall Street have welcomed holy-day observers who spend the night at the protest camp to come pray at Saturday services. Similar Kol Nidre services have also been planned in Boston, Philadelphia and Washington, D.C.
Daniel Sieradski (one of the service’s organizers who has been participating in the Occupy Wall Street demonstration) said he was inspired to arrange for the Yom Kippur service by a part of the haftarah from the Hebrew Bible, which is typically read the first morning of Yom Kippur. “You can fast for a day, you cover yourself in ashes, you can wear a sack cloth, but who cares if you are not out there feeding the hungry, housing the homeless, breaking the bonds of oppression?” said Sieradski, paraphrasing Isaiah 58:5. “I am less concerned about halacha, Jewish law, and traditional observance than I am about the prophetic character of recognizing the divine in my fellow human being” – said Sieradski, who also plans to observe the Jewish holiday of Sukkot at the demonstration. As the sun dipped beneath the horizon Friday evening, Yom Kippur, the Jewish period of prayer and fasting, began. Also known as the Day of Atonement, Yom Kippur culminates the 10-day period known as the Days of Awe, which commenced with the Jewish New Year Rosh Hashana. 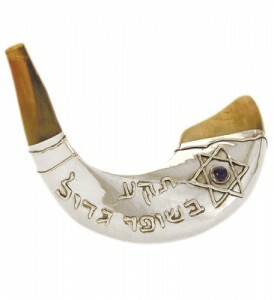 Yom Kippur also completes the 40-day period called Chesbon Ha-Nefesh. During Chesbon Ha-Nefesh, Jews are encouraged to consider their actions and ask forgiveness of those they have transgressed against – said Rabbi Vicki Hollander of Congregation Shaareth Israel. With Yom Kippur, atonement turns heavenward as the faithful implore God for forgiveness. “We ask God for mercy, and (to) be written in the Book of Life” – Hollander explained. The Days of Awe are significant holy days for Jews, said Monty Strauss, a member of the synagogue. He likened the period to Easter and Christmas for Christians, when those long-absent from weekly services return to the fold. His wife, Jane Winer, agreed. “If you’re going to be a once-a-year person, this is the one” – she said with a laugh. The synagogue is holding a total of six services Friday and today – Hollander said. “On occasion, there are very surprising appearances” – Winer said. Once, she remembered, Cuban Jewish carnival workers from the Panhandle-South Plains Fair came to the synagogue to observe Yom Kippur. In addition to gathering for services, the faithful also fast during Yom Kippur. Girls younger than 12 and one day, boys younger than 13 and one day, as well as those who are ill or otherwise harmed by fasting are excused from the practice – Hollander said. When Strauss and Winer fast, they consider those involuntarily abstaining from food — those who are ill for instance, or those who cannot afford adequate food. This entry was posted on Saturday, October 8th, 2011 at 8:00 am	and is filed under Holidays. You can follow any responses to this entry through the RSS 2.0 feed. Both comments and pings are currently closed.